Don't let the graceful, gold-rush-era architecture and friendly folk of Beechworth fool you. The town was a hot bed of revolutionary fervour when the Kelly Gang roamed the countryside and were frequent guests of Her Majesty at Beechworth Gaol. Incensed with the brutal behaviour of the Victoria Police, Ned Kelly reputedly threatened to declare Victoria's north-east a republic before his capture, conviction and execution in 1880. Life is calmer these days, with Beechworth ruled by food and wine producers rather than bushrangers and the constabulary. Victoria's north-east is also a cycling mecca, with the Murray to Mountains Rail Trail handily passing by vineyards as it winds through a lovely landscape of forests, farmland and valleys in the shadow of spectacular mountain ranges. Check into the old stables behind Provenance restaurant, awarded two chefs' hats by The Good Food Guide 2018, and wash away the travails of travelling in the double rain shower or Kelly-gang-sized spa. Prop yourself up at the bar of the Cellar Door Wine Store and let owner Lachlan Bisset introduce you to the region's boutique winemakers. Bisset, who runs the wine bar and shop with his parents, has stocked his shelves with the region's award-winning chardonnays as well as shiraz, cabernet and Italian and Spanish varieties. Bisset's wine knowledge is impressive and, if you ask nicely, he'll make you a peach margarita, too. There is also a good chance you can swap tasting notes with the region's winemakers, who are regulars at this top-notch watering hole. Give a tired-looking hotel a lick of paint and decent wine list featuring local drops and watch her come alive. Add a well-conceived menu starring local produce and it's easy to see why the Empire Hotel is bursting with bonhomie. Aided on the floor by Andrew Madden and Scott Daintry, chef Shauna Stockwell adds glamour to pub grub with dishes such as drunken brisket dumplings in a shiitake broth, ocean trout with cauliflower hummus and green olive relish and lamb rump with red lentil dhal and spinach pahi. Begin the day with a brisk walk or bike ride through Beechworth Gorge. The five-kilometre trail wanders through the native forest of Beechworth Historic Park, passing granite outcrops, rock pools and waterfalls, as well as providing stunning views of distant valleys and the township. Visitors to Beechworth are spoilt for choice when it comes to cafes, with Beechworth Provender, Granite Cafe and Peddlar providing hearty dishes to wake up to. The town also lends its name to two culinary juggernauts: Beechworth Honey, which features a Bee School and The Hive Kitchen cooking school, and Beechworth Bakery. Beechworth is one of the best preserved gold-rush-era towns in Victoria, its streets lined with heritage-listed buildings such as the Mayday Hills psychiatric asylum and 19th-century shopfronts whose doors would have been darkened by Ned and his band of rebels. The town's historic and cultural precinct features the Ned Kelly Vault, the courthouse where Ned was committed for trial, and the Robert O'Hara Burke Memorial Museum. The Old Beechworth Gaol, purchased by a group of locals and philanthropic groups, is also home to the Ride Republic cycling hub and cafe, whose cakes, pies and tarts were definitely not on the prisoners' menu. Inmates at the Beechworth Gaol – a second home to members of the Kelly gang – were fed gruel for breakfast and a stew of meat and potatoes that left many undernourished and suffering scurvy, according to Darren, who leads us through the prison on the Rogues, Ratbags & Mongrel Dogs tour. 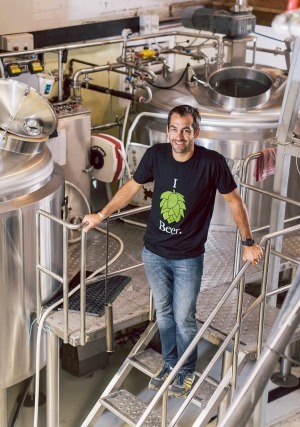 Ben Kraus is the Willy Wonka of craft beer, concocting fantastical flavours at his Bridge Road Brewers, housed in a 150-year-old coach house and stables behind Tanswells Commercial Hotel. Kraus, who began brewing in his father's back shed, isn't afraid to experiment, flavouring beer with elderflower and raspberry, and even ice-cream for his Christmas brew. 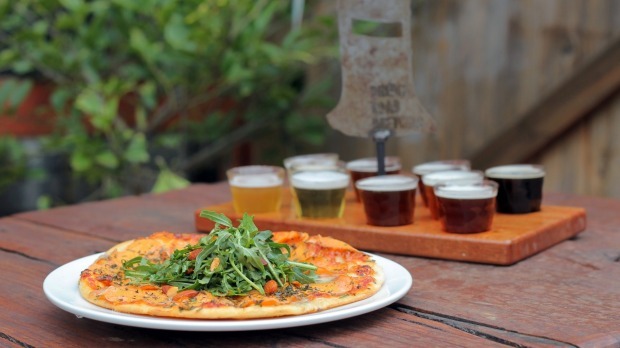 Join a tour at 11am to discover the craft of brewing before settling in the bar or beer garden to lunch on pizza and sample beers pulled from taps shaped like Ned Kelly's armour. Taste the bull's blood that flows in the tasting room of the Eldorado Road Cellar Door and Cantina, as well as wines made from heritage vines, Sicilian grapes and other grapes grown at Eldorado Road winery, one of more than two dozen wineries nestled in the hills around Beechworth. A short walk or cycle along the rail trail takes you to biodynamic vineyard Pennyweight Winery, where winemaker Stephen Morris eschews machine harvesting to pick his fruit by hand. The cellar door is worth the visit just to meet the indomitable Elizabeth Morris, who is blessed with a wicked sense of humour and generous pouring hand. The winery produces a range of drops but make room for the Pennyweight Gold, a rich fortified wine made mostly from riesling grapes. Dining at two-hatted Provenance is undoubtedly the highlight of a visit to Kelly country. Housed in the former Bank of Australasia building, Provenance's reputation is as high as the soaring six-metre ceiling in the dining room. Chef Michael Ryan's abiding fascination with Japan finds expression in a menu that marries Australian produce – kangaroo tartare, Flinders Island saltbush lamb – with exquisite Japanese flavours. The culinary skills impress with texture and flavour without being tricksy. A vegetarian degustation, with matched wines, features house-made silken tofu and Wooragee mushroom congee. Fortunes were found throughout Victoria's north-east during the 19th-century gold rush including in the scenic Yackandandah. With an emphasis on local, seasonal and ethical food, including greens from Gnangara farm, eggs from RAD Growers and meat from Gamze Smokehouse, Saint Monday cafe's menu is as principled as it is appetising. 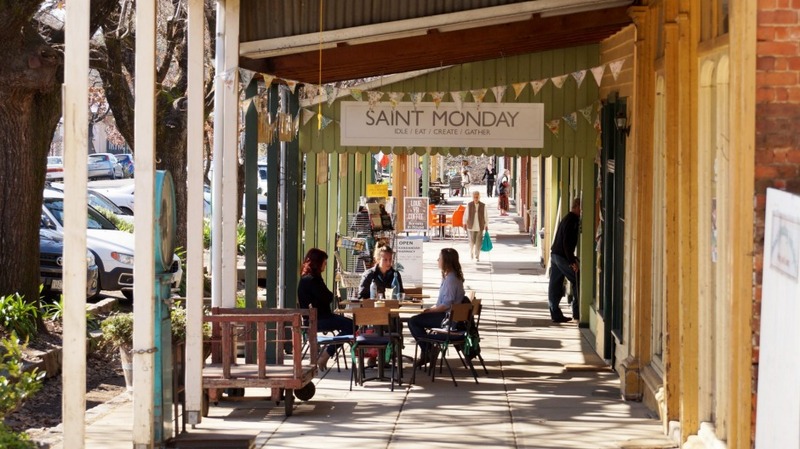 Saint Monday (named for the tradition of bludging off the first day of the working week) also sources fruit and vegetables from Yackandandah Organics, which hosts cooking classes and public picking days. Jams, pickles and preserves, concocted by Maggie McKenzie and Steven Vanderbergh, fill the shelves at Jim Jam Foods. Swing by the farm shop to replenish your pantry and have a yack with Steve, who will be hosting a Battle of the Beans, a competition based on "the musical fruit", part of High Country Harvest on May 19. With 11 tables nestled under its pressed metal ceiling, competition can be fierce for a seat The Ox and Hound Bistro. 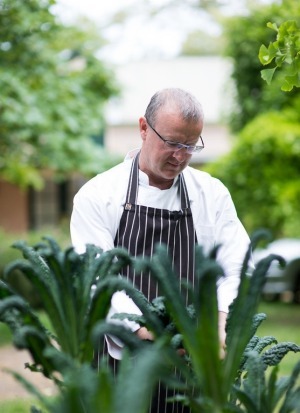 Handmade gnocchi, linguine and fettuccine with local wild rabbit are among the stars on the restaurant's menu, chased by wine from Beechworth and the nearby Rutherglen, King Valley and Porepunkah regions. The sheep grazing among the rows of vineyards at Amulet Vineyard won't follow visitors into the cellar door, preferring to keep the weeds down among the pinot grigio, sangiovese, barbera and nebbiolo vines. Compare tasting notes with winemakers Sue and Eric Clifton or try their son Ben's Beechworth Cider, made with apples from local orchards. The annual High Country Harvest food and wine festival showcases the region's chefs, growers, winemakers and brewers from May 4 to 20, with workshops, tastings and special menus. The festival begins on May 4 with a wine tasting hosted by Beechworth vignerons in the beer garden of craft brewery Bridge Road Brewers, which also hosts a four-course breakfast with matched beers on May 5. See highcountryharvest.com.au.